LightArchitect is a 3D Asset Database Add-on for filmmakers, cinematographers, and 3d Artists. With it's assets and intuitive user interface menu it provides the ability to pre-visualize film industry level camera and lighting setups inside of the open source program "Blender 3D". 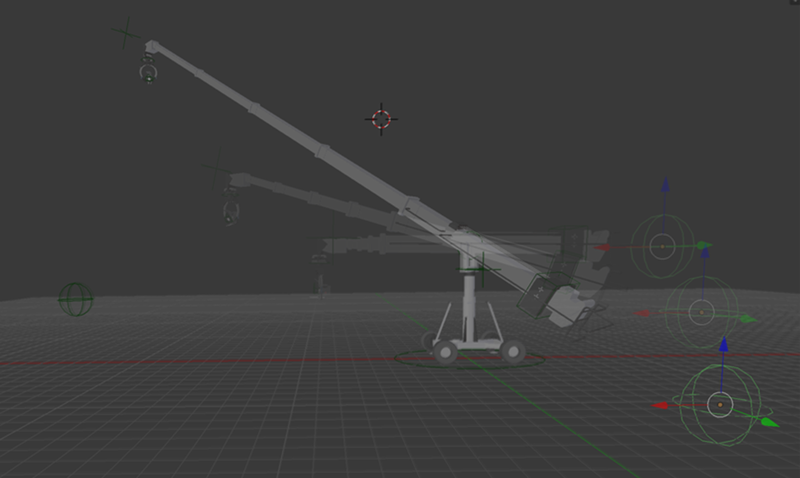 LightArchitect's add-on database includes over 65 lighting, grip and camera rig 3d model assets. 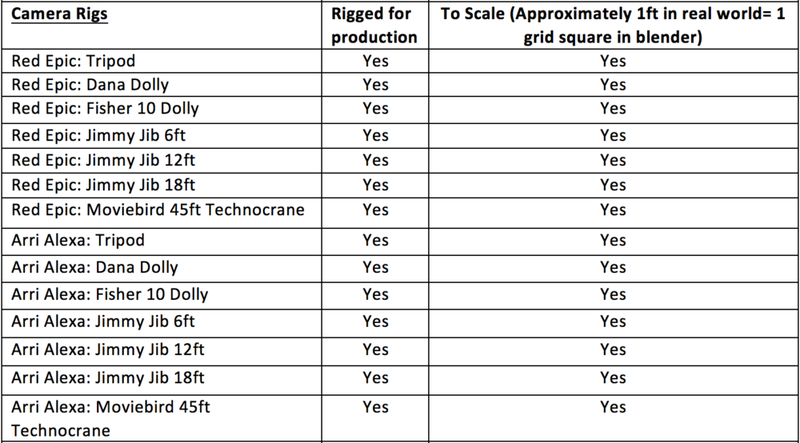 This includes items such as 18K HMI lighting units, Skypanels, Jimmy Jib's, and even a fully functioning 45ft Technocrane. The LightArchitect add-on for Blender 3d is a key to pre-visualizing real world high end lighting and camera moves for any filmmaker or visual artist. Credits: 3d environment by WizardofAz on Sketchfab. 3d character by Paultosca on Turbosquid. The 3D lighting assets provided by LightArchitect are based off of real world lighting units used in the film industry. Because of this we have used real photo-metric data in an attempt to closely match the intensity and beam angle of each specific light relative to each other. While each 3d lighting unit is not a 100% match to it's real world counterpart, as cinematographers ourselves we believe they are excellent in most cases for the cinematic pre-visualization of your project. Within Blender 3d's default settings using the Cycles Rendering Engine the lighting units are estimated to light your scene as if your camera is shooting with the following settings: 24fps, 800ASA, 180 degree shutter, T2.8. Exposure can be changed inside Blender. The LightArchitect add-on has an extensive library of over 27 grip assets and support systems. 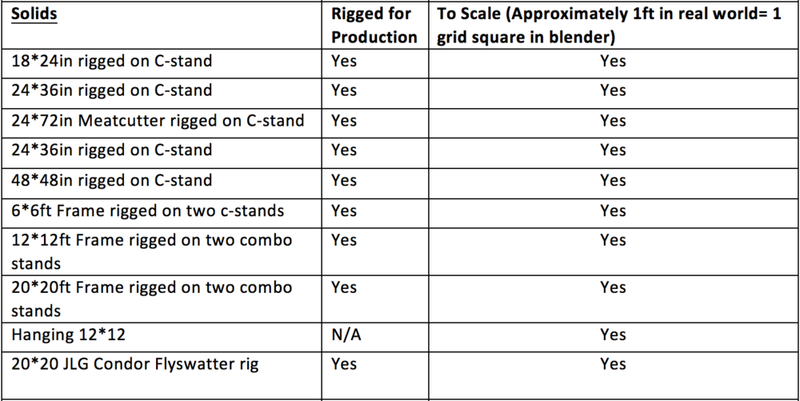 This includes items from 20*20 emission silk frame's rigged on condors to your standard 4*4 solid c-stand rig. 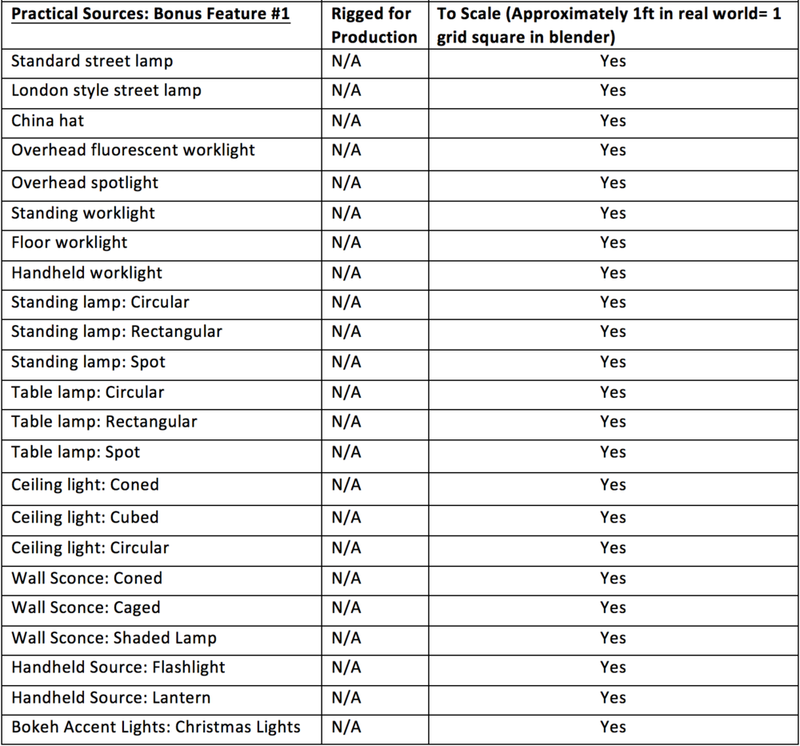 Your options for cutting and shaping light are nearly limitless. The LightArchitect camera assets contain working 3d rigs of some of the most sophisticated camera support technologies that exist. All of these assets can be added easily through the camera asset tab panel once you install the add-on. Because the LightArchitect database builds upon Blender 3D many human and 3d Environment scans already freely available online can be easily imported into your scene setup. Simply import your environment and start your camera setup. When the LightArchitect add-on is installed two sidebars containing all of the LightArchitect assets are added to the Blender 3d interface. Simply click on a drop down menu for one of the categories and start adding to your scene. Each 3d asset provided in the LightArchitect menu system is fully rigged and functional within the 3d viewport. Simply add the asset to your scene through the menu system provided with the add on and get to work! To jumpstart your creation process we have created a playlist of basic training videos including everything from installation to creating a scene with the add-0n that will get you started in no time. The LightArchitect add-on for Blender 3d is designed by cinematographers, for cinematographers, filmmakers and 3d animators. Experiment with your vision today. Due to the amount of time it takes in the creation of 3D rigged assets, a single mid quality 3d asset usually sells online for somewhere around $30.00 to $250.00. This means that if you wanted to purchase each 3d asset separately the LightArchitect database would cost you an estimated minimum of around $2,000. That's not including the LightArchitect menu system script that comes included with your download. 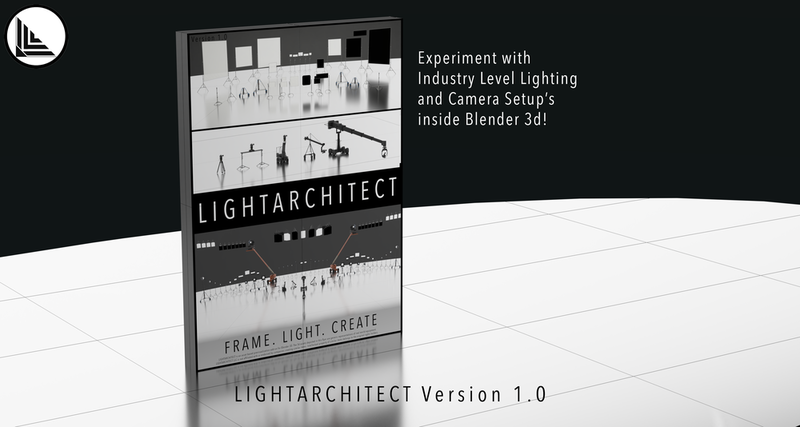 We're selling the LightArchitect add-on for Blender 3d right now on sale for only $18.00. We think that's an amazing price to pre-visualize Industry Level camera and lighting setup ideas before you come to set...but it's up to you.